Please donate to Chuck4Judge. Help me bring needed change to the 183rd District Court! 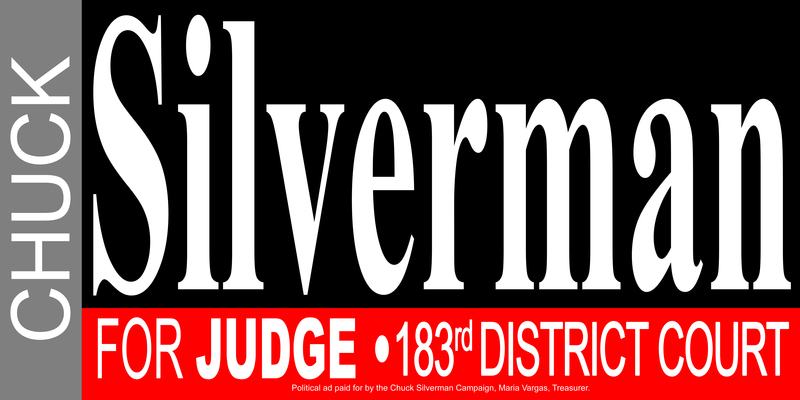 Pd Political Ad by Chuck Silverman Campaign, in compliance with the voluntary limits of the Judicial Campaign Fairness Act, Maria Vargas, Treasurer.